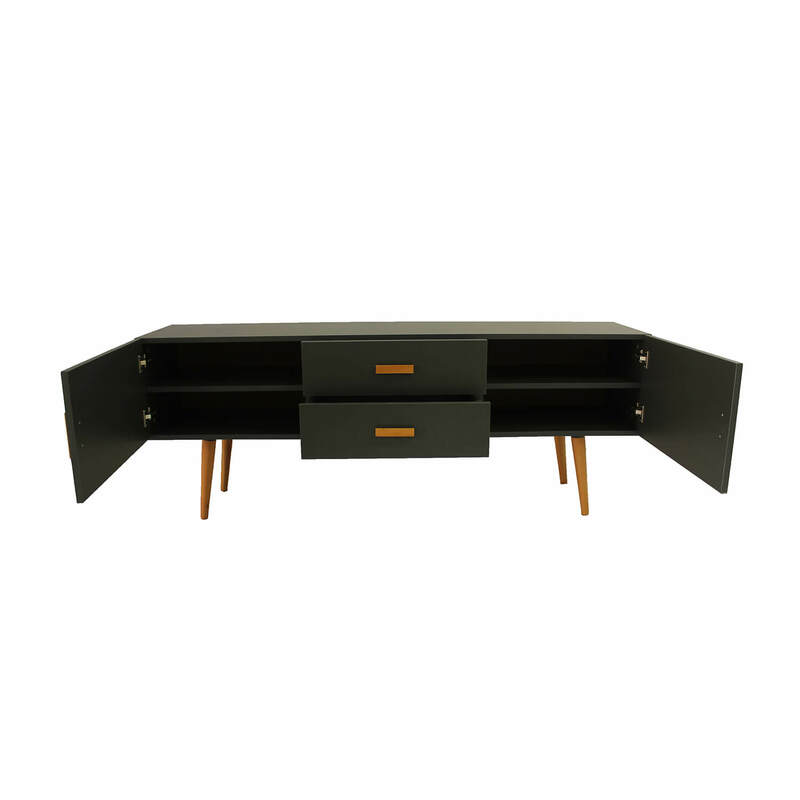 Modern TV furniture offers more than just a space for the TV. In addition to their fresh design, they are impressive with features such as built-in speakers or cozy, modern wood look. With them, light and innovative TV furniture is increasingly adding to our living space. Above all, the low depth of the plasma TV sets allows the manufacturers to play with their products and to constantly develop new and original TV. With our buying tips you will be able to quickly find the TV that suits you. 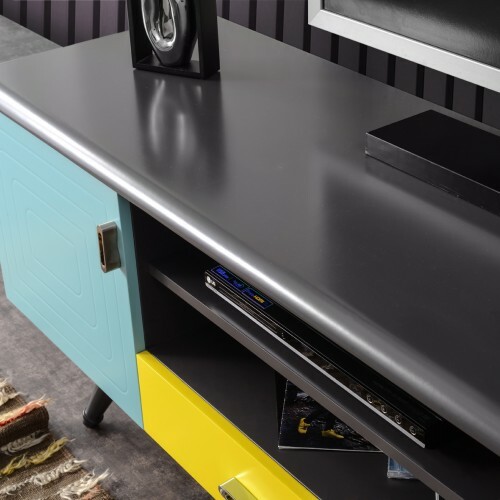 A concealed cable management is given in almost every TV cabinet. Some TV also offers the ability to view the screen from almost anywhere in the room using castors or swivel systems. This is particularly advantageous for large rooms with different seating areas. The technical upgrade of the TV furniture is increasing. Some have already integrated the surround speakers, offer special support systems for TVs and projectors or forward the remote control signals behind the closed fronts to the DVD player. ls or glass and various finishes ,everything works! Likewise the inner look belongs to the past long ago. A large selection of variants and possibilities for customization are mandatory at almost all TV furniture manufacturers. Thus, some producers offer its TV furniture with as many different colors for sale. Here then only the individual taste in the choice of the right model is decisive. As with all new purchases, the new TV furniture should fit the existing furnishings. Fortunately, the choice of styles and shapes has increased enormously in recent years. Straight-line lowboards and so-called racks provide a successful base for the TV in a modern environment. 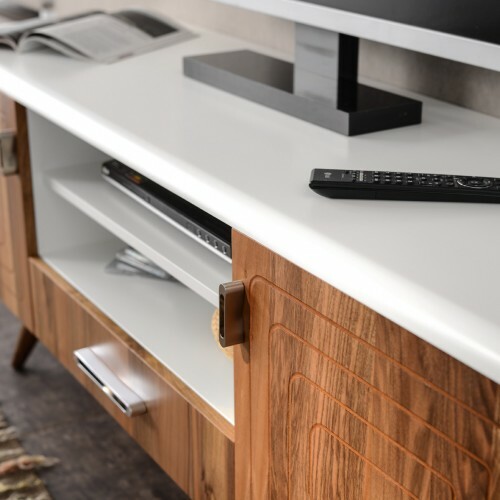 A TV cabinet in the form of a cabinet solution for example, integrates the TV into a library, so that it disappears when not in use behind the spine . So enjoyment of television is also tolerated by book lovers.